The Lake Campus Housing Villas sit just west of campus, and are viewable from James F. Dicke Hall. Knapke Villa, East Villa, and West Villa consist of townhouse-style apartments that have a beautiful view of Grand Lake St. Marys. Each apartment has four or five bedrooms, with the option of having a private or a shared bedroom. Students are encouraged to request roommates if they are living in a shared bedroom. Apply to live on the Lake! Here is what Lake Campus housing can offer to you! The four bedroom plan has one single bedroom, one double bedroom and a bathroom downstairs; and, one single bedroom, one double bedroom and a bathroom upstairs. 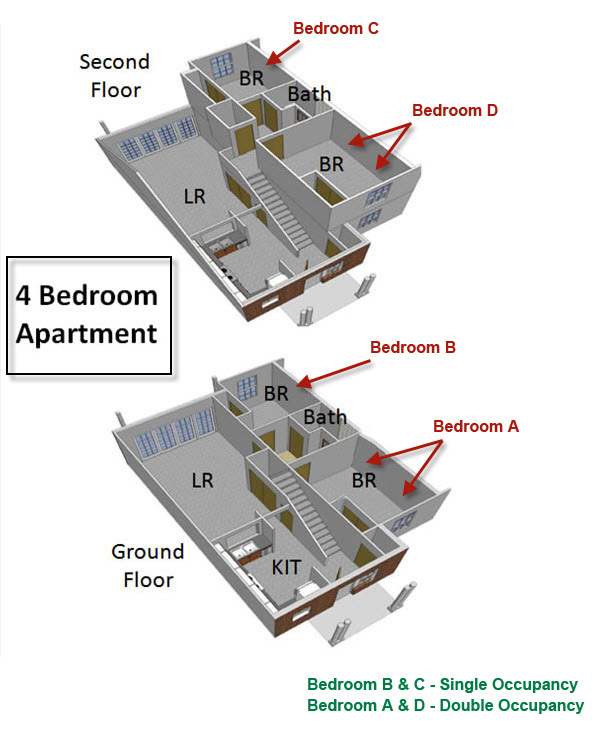 This allows for up to six students to live in each four bedroom apartment. The five bedroom plan has one single bedroom and a bathroom downstairs; and, four single bedrooms and two bathrooms upstairs. 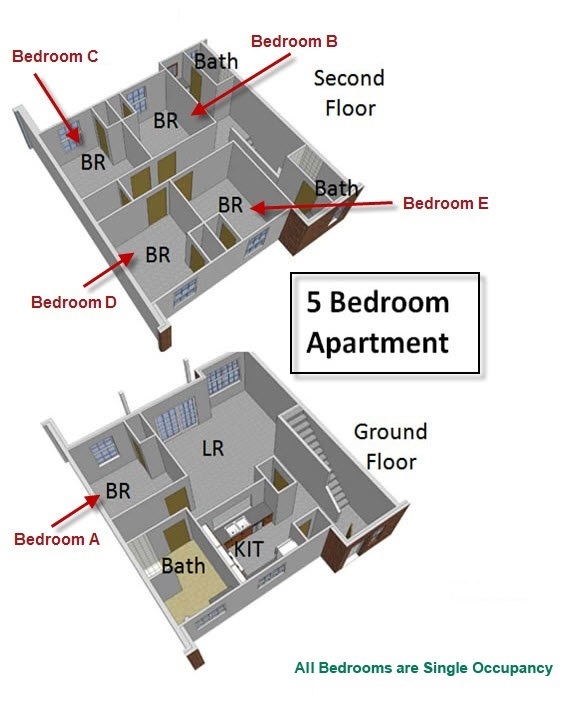 This allows for five students to live in each five bedroom apartment. The single bedroom downstairs is accessible, or may be used an expanded double bedroom if the need arises.